GSA member Jason Sheltzer joins Zhao Zhang as one of 16 recipients of the NIH Director’s Early Independence Award for 2015. Established in 2011, the Early Independence Awards program provides an opportunity for exceptional junior scientists who have recently received their doctoral degree or finished medical residency to skip traditional post-doctoral training and move immediately into independent research positions. In addition to his scientific research, Sheltzer also published a study looking at the gender balance in labs run by men and women. He was also named to the Forbes 30 Under 30 in Science. 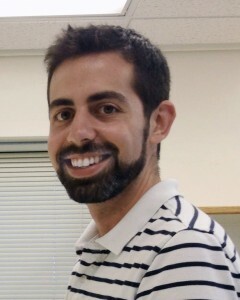 Jason Sheltzer received an A.B. in Molecular Biology from Princeton University and a Ph.D. in Biology from the Massachusetts Institute of Technology. At MIT, Jason worked in the laboratory of Dr. Angelika Amon to characterize the effects of aneuploidy on genome stability and tumorigenesis. Following graduation, Jason established his own research group as a Fellow at Cold Spring Harbor Laboratory. The Sheltzer Lab applies in vitro, in vivo, and in silico analyses to understand the genetic changes that underlie cancer development and progression.